There has never been a better time to study, practice, and experience creative leadership. In the fluid and turbulent economic and social environments of the 21st century, creative leadership has become a cardinal force in the creation and evolution of adaptive organizations. In the last two decades, organizational science has witnessed a rapid increase in the number of studies on the nature, skills, and processes of creative leadership. The resulting accumulated body of knowledge has remained for many years dispersed and fragmented across multiple strands of organizational research. This volume seeks to foster the cross-fertilization of scientific knowledge and insight by bringing together authoritative contributions from leading scholars whose work is located in different strands of creative leadership research. Creative Leadership: Contexts and Prospects builds upon a recently introduced multi-context framework that integrates metatheoretically three conceptualizations of creative leadership found in the extant literature: Facilitating employee creativity; Directing the materialization of a leader’s creative vision; and Integrating heterogeneous creative contributions. These three conceptualizations reflect essential differences in the enactment of creative leadership across various collaborative contexts of creative work, and they underlie the intellectual efforts of different research strands. 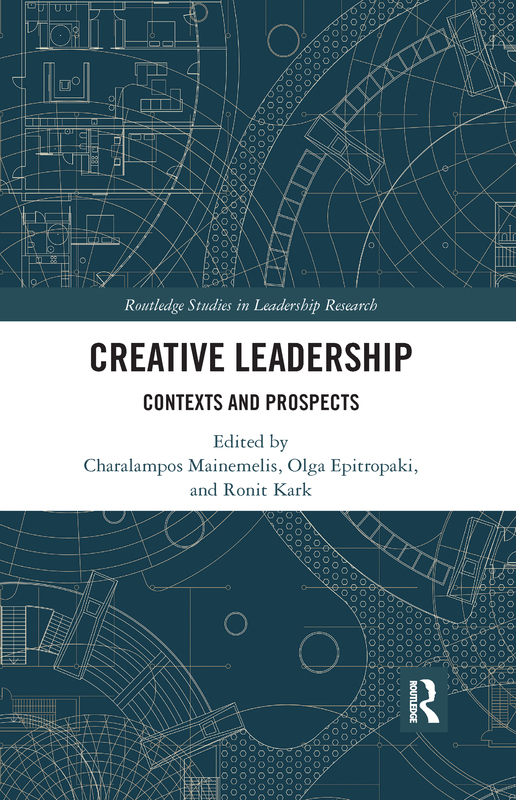 The collection of chapters in Creative Leadership: Contexts and Prospects offers the latest thinking on creative leadership in facilitative, directive, and integrative contexts, and a stimulating set of ideas for crafting the next generation of nuanced theories and empirical studies in the field.